Flavius Magnus Maximus Augustus was Western Roman Emperor from 383 to 388. 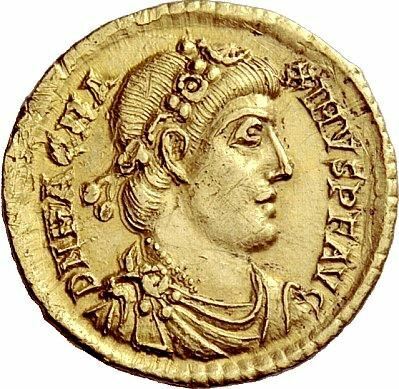 In 383, as commander of Britain, he usurped the throne against emperor Gratian, and by negotiation with emperor Theodosius I, he was made emperor in Britannia and Gaul the next year while Gratian's brother Valentinian II retained Italy, Pannonia, Hispania, and Africa. In 387, Maximus' ambitions led him to invade Italy, resulting in his defeat by Theodosius I at the Battle of the Save in 388.